The zucchini or courgette is a summer squash which can reach nearly a meter in length, but which is usually harvested at half that size or less. Along with certain other squashes, it belongs to the species Cucurbita pepo. Zucchini are grown on vines not underground. 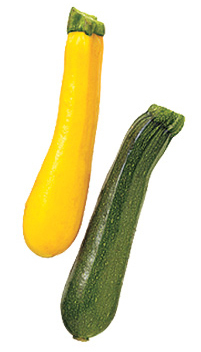 The female flower is a golden blossom on the end of each emergent zucchini. The male flower grows directly on the stem of the zucchini plant in the leaf axils (where leaf petiole meets stem), on a long stalk, and is slightly smaller than the female. Both flowers are edible, and are often used to dress a meal or to garnish the cooked fruit. New Zucchini fruit Firm and fresh blossoms that are only slightly open are cooked to be eaten, with pistils removed from female flowers, and stamens removed from male flowers. The stem on the flowers can be retained as a way of giving the cook something to hold onto during cooking, rather than injuring the delicate petals, or they can be removed prior to cooking, or prior to serving. 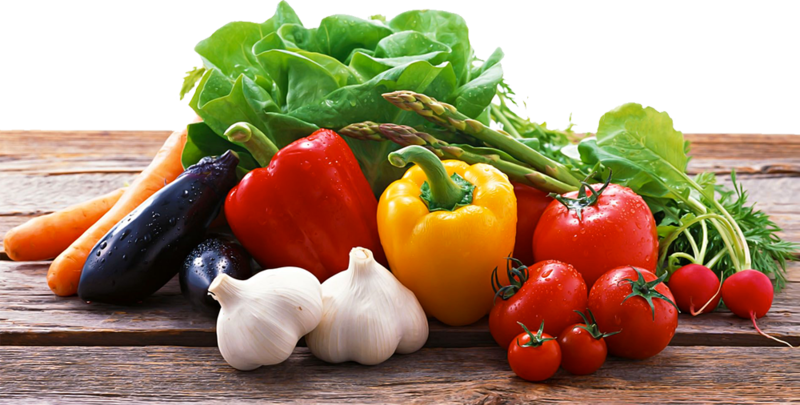 There are a variety of recipes in which the flowers may be deep fried as fritters or tempura (after dipping in a light tempura batter), stuffed, sautéed, baked, or used in soups.